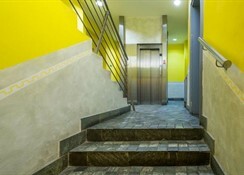 "Check-in: from 2 p.m. - Check-out:till 10 a.m. "
Prague Centre hotel is situated in the very centre of Prague. All main Prague historic sights are accessible on foot. 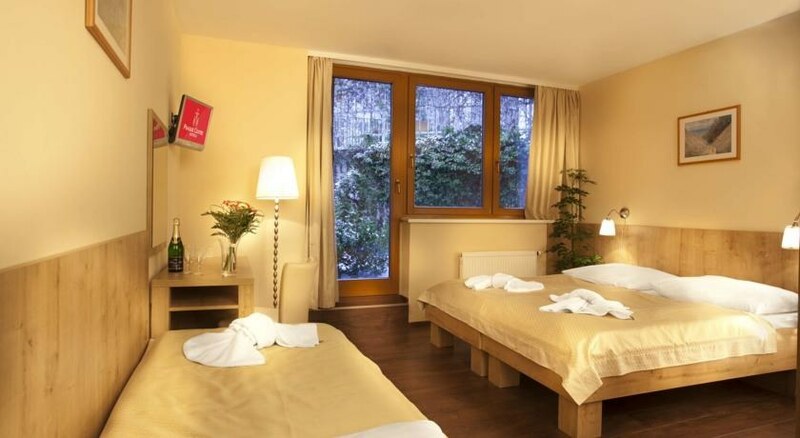 Wenceslas Square is just 5 minutes away. Prague Congress Centre is 8 minutes from our hotel, by foot.The I.P. Pavlova underground station (Line C) and train and bus stops are 2 minutes away and the Main Railway Station approx. 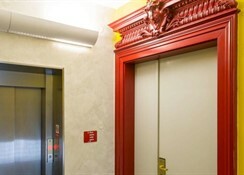 a 10 minute walk.The hotel is easily reachable not only by car, but also by city public transport. The 66 comfortable rooms of the hotel are equipped with modern amenities and offer plenty of space and calm atmosphere to make your stay an enjoyable one. 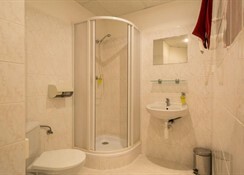 Hotel offers accommodation in double rooms equipped with shower, WC, SAT-TV and direct line. All rooms offer plenty of peace and quiet, space and comfortable appointments, important to making your stay an enjoyable one, and even with sanitary facilities. The hotel is about 15 km from the airport Ruzyne. By public transport from the airport: at the airport take the bus number 119 and go to the Dejvicka metro station (the last stop) - here take the metro line A and go to Muzeum, here change the line and go by metro line C directly to the metro station I.P.Pavlova - hotel is in legerova street, about 400 m from the metro station. By Car - from higway D1: direction to city centre - Legerova and simply reach the hotel.